The eight journalists were buried in four graves excavated next to a creek near Uchuraccay. 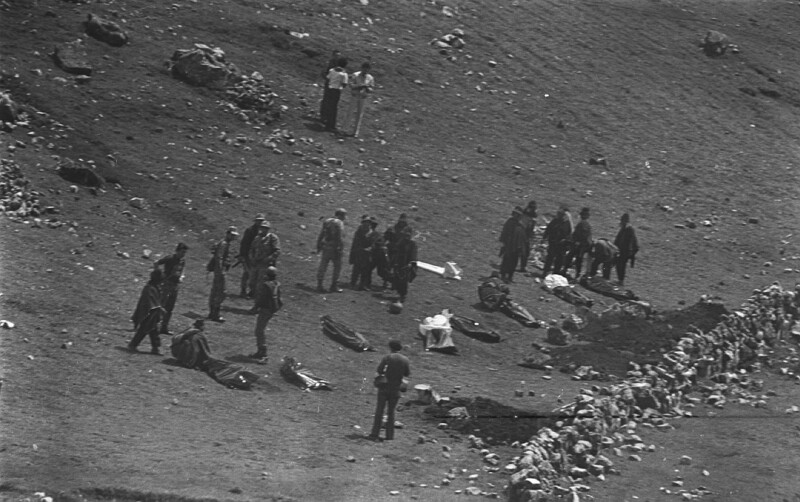 Their bodies were exhumed four days after they were massacred. Photo courtesy of Carmen Hulbert. Leave Lima, travel a long road to 4,000 meters up in Peru’s central highlands and you come to Uchuraccay. It’s a remote and desolate place. Most people outside Peru have never heard of it. Jane McClenahan on a story rarely been covered in mainstream media.